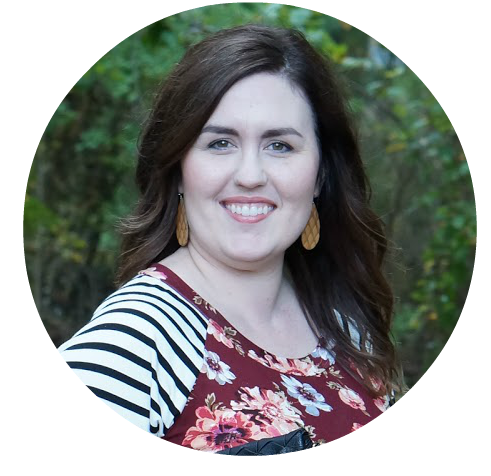 Each season, I am so, so excited to refresh our kitchen with the Mrs. Meyer’s seasonal scents. It’s so fun to bring in a new scent to celebrate the upcoming season. It’s become a bit of a tradition for me to switch out our soaps with the new scents. For the spring scents, I immediately placed an order through Grove Collaborative for the Peony Scent. 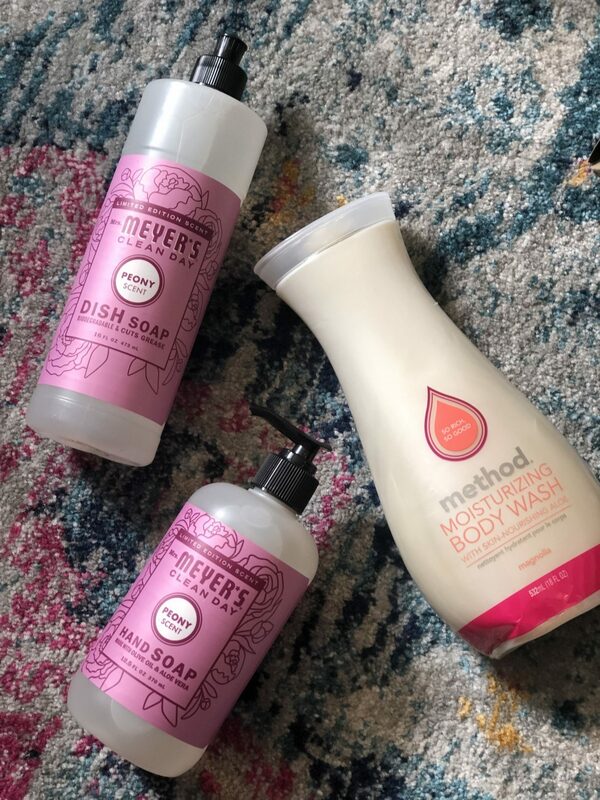 It might just be my favorite scent of all the Mrs. Meyer’s scents. To be honest, some of the scents have more of a chemical smell to them that I don’t care for. The ones that I enjoy, of course, don’t have that off-putting scent to them. In my opinion, the poeny scent is far superior to the other seasonal Mrs. Meyer’s scents. So, this month I really reigned in my desire to add all the things to my cart. I have quite a few cleaning products that I need to use up. 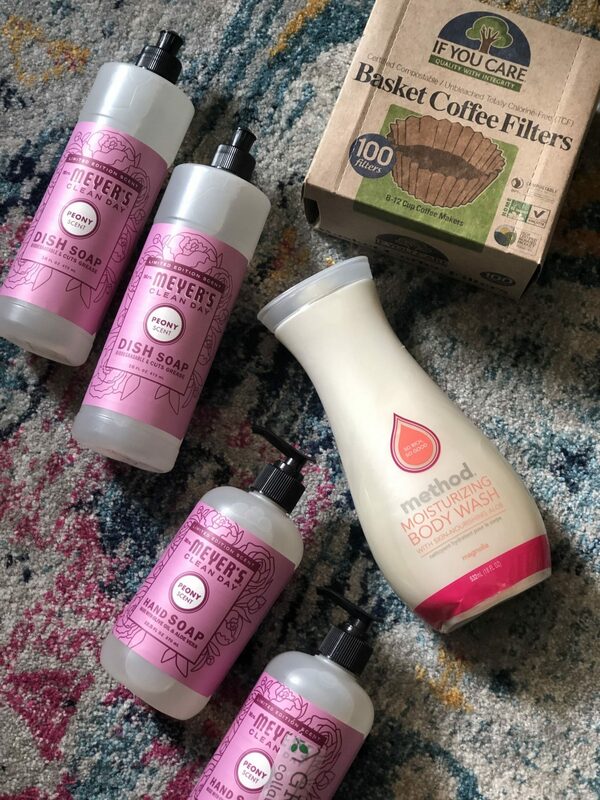 From Method products to cleaning concentrates to new products that I’ve been wanting to try, it’s time to use up what I have before I buy anything new. 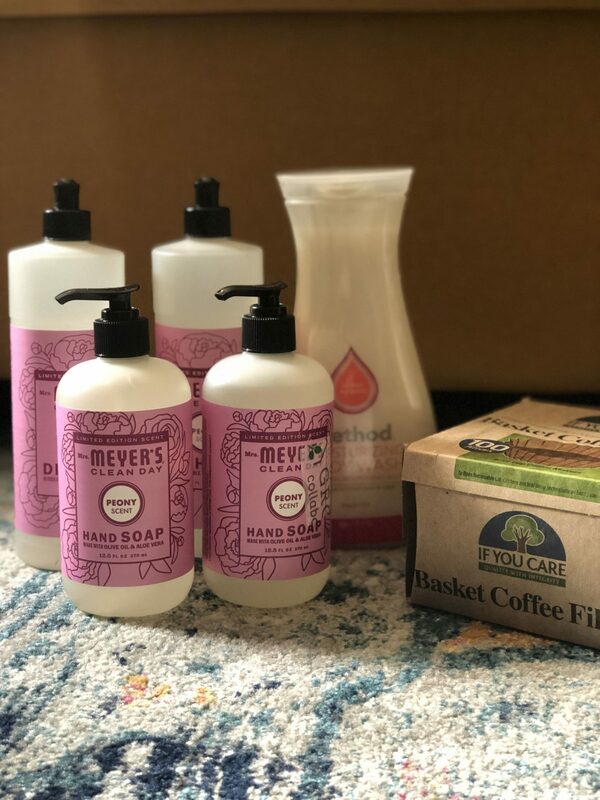 My order for this month consisted of the Mrs. Meyer’s seasonal scent Peony in the dish soap and the hand soap (two each), my favorite Method Moisturizing Body Wash in Magnolia, and a box of our favorite coffee filters from If You Care. This is probably the smallest haul I’ve ever ordered from Grove Collaborative. I’m so happy to have my favorite seasonal scent in our home, and I’m equally as happy to use up what we have before I try anything new. I hope you’re having a wonderful start to your week!